Cool toys are those that make you say WOW when you see them in action. We are really impressed with the toys we list below. Some of them take advantage of current technologies but many are result of simple ingenuity. 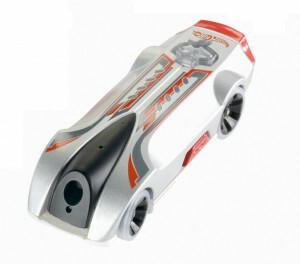 This Hot Wheels car with camera is the best action camera for the price. The video quality is not outstanding but a decade ago regular cameras had such a quality and we thought they were great. It has a protective cover which makes it sturdy and perfect for kids. The car has a small LCD screen underneath for instant playback. It can store 12 minutes of video which can then be downloaded to a computer and edited with the Hot Wheels Video Racer software (Windows only). The car can be attached to bikes, helmets, Lego creations, etc. with the included strap, clips or adhesive strips. It is a great alternative to the more expensive Spy Gear Spy Video Car VX-6. Makey Makey is so cool that adults are playing with it. It is a small board that connects to a computer via USB cable. It allows you to transform almost any object into a keyboard key or a mouse. In addition to the board and the USB cable, the set comes with 6 regular wires and 7 alligator clip wires. To make it work you connect the board to the computer, yourself to the board and a number of cables to objects that conduct electricity. 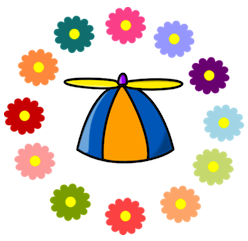 You can use metal objects or anything that has moisture, such as fruits, vegetables, play dough, cats, dogs, people, etc. On the front the board has the inputs for the arrow keys, the space bar and the left mouse button (6 inputs total). On the back the board has 12 more inputs: 6 for the W, A, S, D, F, G, H, J keys and 6 more for the mouse. On the back there is also a connector for Arduino board. Arduino board allows for input from various sensors, such as light, sound, touch, and can be purchased separately. It is intended for more serious applications so the kids will stick with the other inputs. 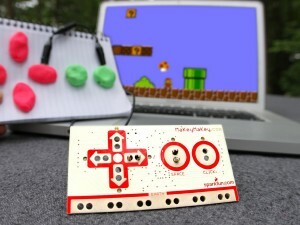 Any computer game and webpage that uses the arrow keys, the 6 keyboard keys (W, A, S, D, F, G, H, J), or the mouse, can be used through the Makey Makey controls. More advanced users can remap the 18 inputs to any other keys by installing Arduino software and modifying the settings.h file. A good Makey Makey QuickStart tutorial in two parts is available on www.sparkfun.com (Part 1 and Part 2). Banana piano, graphite Pacman controls, play dough game controls, those are just a few of the things that can be done. See how easy it is in the video below. Sifteo cubes will be much more popular if it wasn’t for the price tag. It is a very interesting concept of having many small computers that communicate with each other. Playing games on Sifteo cubes is so much fun because characters and objects can move from cube to cube. The cubes can be tilted, shaken, flipped, stacked, and pressed. They sense their neighbors as well. The set shown here is the newer version. It comes with 3 cubes, 1 base with a speaker and USB port, micro USB cable, soft carrying case, 5 AAA batteries, and 4 games. Additional games can be downloaded from https://www.sifteo.com. Up to 12 cubes can be used together which will be really awesome if it was more affordable. 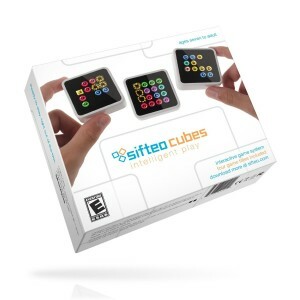 The older version Sifteo cubes are offered at half the price but they are not compatible with the newer ones. 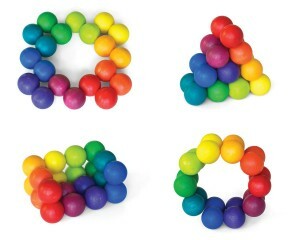 There are a number of similar playbaleART manipulatives utilizing different geometric shapes. They are easy to manipulate simply by turning the interconnected wooden pieces. This particular one is the best for kids because it can be made into a bracelet and carried around. The possibilities for beautiful designs are many. These toys are designed in Germany and are made of high-quality beech wood. Often adults use them as office gifts because they make great desk art displays. 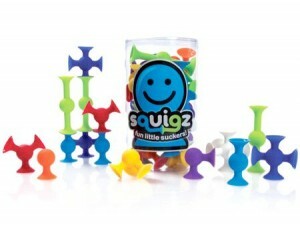 Squigz are suction cup connectors that stick to each other and to smooth surfaces, such as windows, bath tubs, and tiles. They easily stick together and make a fun popping sound when pulled apart. The structures are not very stable and often fall apart on their own but connecting these little suckers is great fun. This starter set has 24 pieces with varying shapes. They are enough to build small things and experience the latest craze without spending too much money. Writing secret messages entices kids of every generation. In previous times they had to make their own invisible ink from lemon juice and heat the paper to reveal the message. Nowadays it is much safer to write with invisible ink and expose the writing with black light. There are a few versions of such pens but the 4-pack shown here is the best bargain. 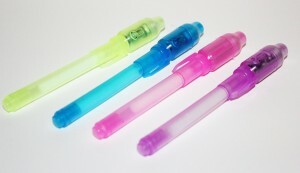 All invisible ink pens write in transparent color so the pen color is just for fun. Each pen has a button on the side for switching the black light at the top. Replacement batteries are included as well. This little car follows any line that children draw. To draw long track just tape a few sheets together. 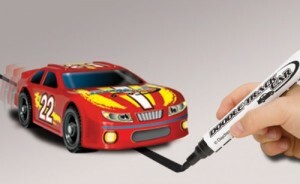 In addition to the car the box contains a play mat with track, a black marker, and decals to decorate the car. We have bought two of these cars in the past and both worked fine for a few months. One of them is now broken but it has been played with a lot as a regular car as well. An important section of every girl wardrobe are her footwear.